I understand that. I’m a conversion optimizer myself, so I have often felt the same way. But what if I were to tell you that social media is an integral part of conversion optimization? Social connection is a primal human need that is met through social media, therefore its impact and influence upon the conversion process should be utilized in order to score more conversions. Okay, so that’s a bit of a mouthful, so let me sum it up in a more casual way. We’re social animals. That’s why we love social media. And social media can have a huge role to play in conversion experiences. 1. SOCIAL interaction is integral to the human experience. I’m going to start this article with some social theory. You may think that this is far afield of your role as a data-eating optimizer, but don’t worry. I’ll circle back around to conversion optimization shortly. Humans depend upon each other. From the dawn of the human race, humans depended upon each other for support. Whether it was Adam needing Eve or primordial organisms gathering into groups, all of social research points to the necessity of human dependence. Human interdependence is such a foundational part of our race that those who reject it are viewed as socially abnormal. Hermits and recluses earn labels and are derided for their refusal to be a part of the normal functioning of the species. From the ancient past to the modern present, humans have relied on one another for nearly everything — emotional support, sexual fulfillment, cognitive development, educational attainment, creating physical structures, developing laws, forming armies and earning money. Humans instinctively organize into SOCIAL groups. A glance at history reveals that our culture and civilization is shaped by groups — governments, religious organizations, educational institutions, commercial enterprises, etc. It’s part of our physiology to organize into such groups. 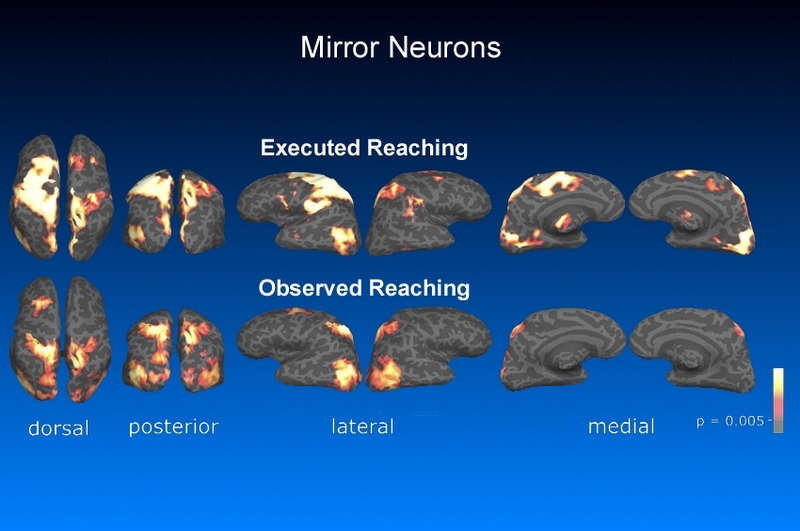 The body’s mirror neurons are partially responsible for this phenomenon. The animal brain responds to observed behavior in much the same way as it does when it carries out the same function itself. That’s why a baby mimics the facial movements of a parent even when the infant is weeks old. That’s why monkeys see ... and do. Humans imitate, respond and attach to each other in deep and physiological ways. But there are other reasons, emotional ones, that help meld humans into organizations and groups. Today’s most innovative social groups aren’t actual physical gatherings at all. They are virtual assemblies. It’s called social media. At this point in the stream of civilization, our instinctive organization is an electronic augmentation. We meet, collaborate, dialogue, discuss, argue, bond and gather in online communities. We develop enemies online. We fall in love online. We are social online. Love it or hate it, this is the modern reality. We can’t ignore our social self, and we cannot ignore the way that the social self in our culture seeks out gathering and community experiences. 2. The SOCIAL web allows us to tap into the collective social experience. And so we’ve journeyed from the dawn of the human race to the present reality of Facebook likes, Twitter retweets, Pinterest pins, Google plusses, and whatever future iteration of social media is going to rock the boat. The social web is how industrialized societies advance their social experience. Obviously, it’s not the only way. However, for those of us who are knowledge workers in the Internet age, we need to recognize the important role that social media plays in the experience of our culture. It is an indispensable and critical component of human beings, on a deep and physiological level. 3. SOCIAL makes us click. I wake up every morning and go to bed every night thinking “what makes people click?” Except sometimes I’m thinking about football instead, and that’s okay. Social is one of those things that make us click. Let’s set aside all the theory and best practice of conversion optimization and CTA buttons and headlines and checkout processes for just a second and focus on the clickability of social media. Here are some of the features of social media that compel action (or “clicks”) online. Remember, we’re dealing with foundational issues of sociology and cognitive functionality, not just the “Ooh, I want to buy one” response that conversion optimizers typically focus on. Social media is always in flux. Just like the human face is constantly reflecting its internal state by means of its outward expression, so social media always has a variation or mood. Those moods affect us in ways that we perceive as pleasurable. Remember those mirror neurons! We like being surprised. Often, we experience the pleasure of surprise on social media. Things are always changing. (Think of your Twitter feed.) There’s bound to be some surprise in there somewhere. Often, we seek validation on social media. We want to have assurance that the things we’re doing, thinking and feeling are shared by our subculture or society at large. Whether harmful or beneficial, it’s what we do. A close cousin of validation is affirmation. Affirmation, however, is much deeper. People want others to approve of them — their body image, self-perception, behavior and other issues. They rush to social media to seek such affirmation. The term “networking” is often tied to the plastic-smile and sweaty-palm gatherings of business professionals looking for their next marketing victim. Networking, however, has a larger role on social media. Networking is a necessary part of modern marketing, and something that makes us want to go to LinkedIn again, just to see if anyone else has joined our network. Social media has its own cognitive reward. The pleasure center of our brain lights up, and we’re going to click on the things that make us happy. Social media is habit forming. Habits are one of the often-overlooked but very powerful forces in conversion optimization. They are responsible for the constant need to return to a website and return, and return, and return. Emotional support. Emotional support happens in many places — a church, a temple, a psychologist’s office, a coffee shop, a living room, etc. But the most informal and rampant form of emotional support today is on social media. Admiration and hero worship. One phenomenon on social media is the rallying around public figures. Pages of celebrities and thought leaders attract so many likes and followers. If Alexander the Great or Napoleon had Twitter back in the day, I’m sure they would have had a lot of followers. And if Cleopatra had an Instagram account, she’d probably have been competing with the Kardashians. Social media is a conduit of trust for many people. According to studies, consumers trust social media recommendations, with Facebook taking the cake for the most trusted of all social networks. Elimination of cognitive friction. All of these factors cohere into a single reality. Social media reduces the cognitive friction that people experience on web pages or landing pages. A user opens up a web page with questions, “What is this page about? Should I trust it? Do other people trust it? What kind of people trust it?” The presence of social signals helps to reduce this friction, paving the way toward a conversion. How to use social media in conversion optimization. This is all wonderful theory. And that’s the problem. It’s just theory. How are we going to bring this mighty theory down to the level of the here-and-now — the brass tacks of conversion optimization? You want hacks, tips, techniques, tactical methodologies, easy wins, low-hanging fruit, quick tricks, easy implementation and practical application? I shall teach by way of example. 1. Put share counts on your blog articles and landing pages. This is a quick and easy win. When someone sees that your article, product, or page has been shared a few dozen, thousand, or million times, it inspires trust. When I check out Buffer’s blog, I tend to trust and admire articles that have higher social signal counts. There is a potential downside to this technique. If your page has zero shares, it could do the exact opposite — reduce trust. 2. Put social widgets on your website. Remember how humans love to gather in groups? Well, let’s talk about Facebook groups. Brands form their own subgroups within the larger group of Facebook. A lot of websites do this by adding the Facebook social plugin to their site. It’s brilliant. Provided you’re logged in to your respective social networks, you actually see your own friends’ pictures! This is a powerful force. Compare it to attending a party. You see all these people in a room having a great time. You walk in cautiously looking for a friend. If you don’t see a friend, you edge toward the sides of the room, avoiding attention. But if you see some of your friends, you stride confidently in, your optimism level rising. That’s what it’s like with this widget. If you see that a bunch of your friends are already in the room, it raises your own level of trust in the website. You feel more comfortable walking in and trusting the material. Some websites use social signals as a way of creating “friendships.” We all know that one does not become BFFs with a corporate entity by following their RSS. Nonetheless, this type of emotive language helps to engage users on an emotional and participatory level. More companies are choosing to allow people to sign up using their social accounts. It makes managing accounts easier, but it also helps to pave the way for trust and future visits to the website. Since social networks are the manifestations of contemporary social interaction it only makes sense to facilitate this interaction in as many ways and means as possible. Each of these are distinct CTAs that help users to participate in the collective online social experience. But they are more than just CTAs. They are trust signals. Each of these technical details play into the emotional and cognitive function of the human psyche — the need for social. We are social beings with social needs. When we interact with social manifestations on a landing page or conversion-centric website, it is a deep and powerful means of connection and inspiration. So, how are you going to add sociability to your website?